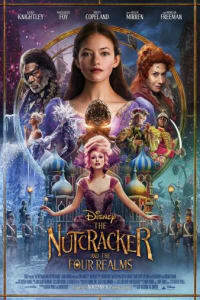 Tickets just went on sale for Disney’s version, in which Clara (Mackenzie Foy) looks for a key to unlock a gift left by her mother. Her search eventually leads her into a magical world divided into four realms. Clara meets the ruler of the Fourth Realm, Mother Ginger, who dreams of ruling all four kingdoms. Aided by a playful fairy named Sugar Plum and a faithful soldier named Philip, Clara vows to defend the magical land from Mother Ginger. 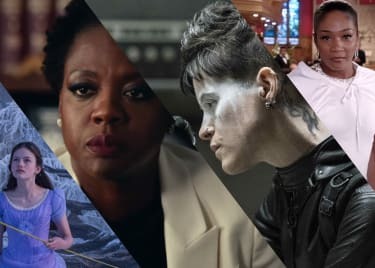 With The Nutcracker And The Four Realms coming to theaters in less than a month, let’s meet the film’s talented cast. Foy, a star on the rise, plays the young heroine Clara. Foy started out with minor roles in TV shows like Fox’s ‘Til Death, Hawaii Five-0 and R.L. Stine’s The Haunting Hour. Her big break came playing Renesmee, the half-vampire, half-human child of Bella and Edward in the last two installments of the Twilight series. She went on to appear in hits like The Conjuring and Interstellar. She has also lent her voice to a few animated projects, most prominently Ernest & Celestine and The Little Prince. Knightley plays the Sugar Plum Fairy. Knightley’s career had a slow ramp up, with TV and film roles that led to a small part in The Phantom Menace, then the lead role in 2002’s Bend It Like Beckham. She got great notes for that early work, and was honored with the Best Newcomer award by the London Film Critics’ Circle. And then there was Pirates of the Caribbean: The Curse of the Black Pearl. No one expected that movie to be great, much less a global smash. Knightley’s starring role catapulted her to superstardom. She went on to do great work in films like Love Actually, Pride & Prejudice and Atonement. Knightley has only refined her talents in the years since, with powerful performances in A Dangerous Method, Anna Karenina, Jack Ryan: Shadow Recruit, and The Imitation Game. Audiences can next see her in The Aftermath, opposite Alexander Skarsgård, opening in April 2019. The villainous Mother Ginger is played by Helen Mirren. 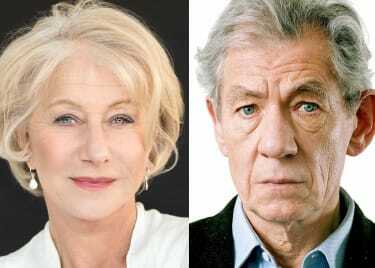 Mirren honed her skills on stage before moving to film with roles in A Midsummer Night’s Dream, and Savage Messiah. She scored mainstream popularity with movies like The Long Good Friday, Excalibur, White Nights, and 2010. On television, Mirren appeared in shows like The Twilight Zone and Faerie Tale Theatre and starred in ITV’s Prime Suspect. In 2007, she earned an Academy Award for her role as Queen Elizabeth II in The Queen. More recently, she’s appeared in RED (alongside a Nutcracker co-star), The Fate Of The Furious, Monsters University, and Winchester. She’s expected to star in 2019’s The Good Liar, alongside Ian McKellen. Freeman plays Drosselmeyer, Clara’s godfather. Freeman needs no introduction. One of his early roles was Leo Smalls in Street Smart, which earned him an Academy Award nomination for Best Supporting Actor. He followed that up with acclaimed performances in Glory, Driving Miss Daisy, The Shawshank Redemption and Million Dollar Baby, to name only a few. Freeman is still a prolific actor, and has earned new generations of fans with RED, Invictus, Olympus Has Fallen and of course, the Dark Knight trilogy. His next project is Angel Has Fallen, the third installment in the Olympus Has Fallen series, in which he’ll reprise the role of Allan Trumbull. Derbez portrays Hawthorn, ruler of the Land of Flowers. Derbez’s first fame was as a comedian in Mexico. He starred in Mexican films and TV shows, most prominently La Familia P. Luche. His first American role was a small part in Beverly Hills Chihuahua; later, he landed larger roles in Jack And Jill and Girl In Progress. Derbez gained wider recognition in the US after the release of his 2013 film, Instructions Not Included, and went on to star in How To Be A Latin Lover and Overboard. His next projects are Dora The Explorer, opening on August 2, 2019 and The Angry Birds Movie 2, which opens on September 6, 2019. Grant plays Shiver, ruler of the Land of Snowflakes. Grant started out on television, with appearances in Sweet Sixteen, Codename: Kyril and The Legends of Treasure Island. His breakout role came in Withnail and I, and he developed a reputation as one of the great character actors of the ’90s with films like The Player, Warlock, L.A. Story and Bram Stoker’s Dracula. Grant also starred in the 1993 short Franz Kafka’s It’s A Wonderful Life, which won an Oscar for Best Live Action Short Film. More recently, he’s been in Jackie, Logan, and The Hitman’s Bodyguard. Grant will be seen in Star Wars: Episode IX, opening on December 20, 2019. Fowora-Knight plays Philip, a young soldier who befriends Clara and guides her through the Four Realms. A newcomer to Hollywood, Fowora-Knight’s first big-screen role came in Steven Spielberg’s Ready Player One. The Nutcracker And The Four Realms marks his first major role in a feature film, and going by the trailers, he could deliver one of the movie’s standout performances. Misty Copeland plays the Ballerina, and she also co-created the film’s dance sequences. So it should be no surprise to learn that Copeland rose to prominence as a gifted ballet dancer, and made history when she became the American Ballet Theatre’s first African American principal dancer. She has also starred in On The Town on Broadway, and has lent her voice to the children’s TV series, Peg + Cat. Copeland’s role in The Nutcracker And The Four Realms remains shrouded in mystery, but we’re excited to see what she does with her character. Tickets are now on sale for The Nutcracker And The Four Realms, which opens on November 2.